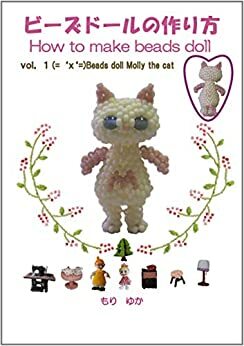 If you want to make beads doll,please try to make it. Beads dool can be inexpensive material. It will be the perfect gift. This book was written by Japanese,it is a detaled illustration,to be able to out understanding. Very cute book! Very detailed, step-by-step directions. A bit beyond my skill level right now but I look forward to making one in the future. (and very nice to find a pattern like this with English directions as most of what I've turned up previously were in Russian or Chinese/Japanese). I hope to see more of your patterns available in English (and I hope my beading skills improve rapidly so I can make them). Very detailed, and easy to read patterns. 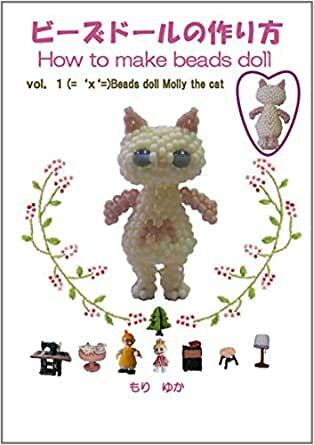 I’m starting to get better at sculptural beading... this booklet is very helpful learning tool.